You can’t lead where you haven’t first been. People may do what you tell them to do, though, over time, your followers will become who you are. Decide today to feed yourself daily on God’s Word and lead out of the overflow of what He is speaking to you! This entry was posted on Wednesday, July 12th, 2017 at 5:07 am	and tagged with God's Word, overflow, Revelation, spiritual disciplines, spiritual growth, spiritual leadership and posted in Demonstrate Core Values. You can follow any responses to this entry through the RSS 2.0 feed. « Read It, Do It, Rejoice! Thanks. I created it as a personal study over a period of years and began sharing it with others. PS – the Study Guide was outstanding – is that just a PDF you have prepared for your local ministry or something you created specifically for this site? Good stuff. 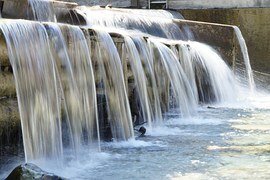 We like to tell our leaders their public ministry should be the overflow, not the only flow. Going to check out the study guide now.